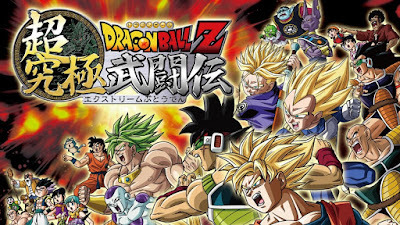 The super fast combat and earth shattering powers of famous Japanese franchise, Dragon Ball Z looks to make its mark on the Nintendo 3DS in Dragon Ball Z: Extreme Butoden. Can such madness be translated well to the smaller screen while still staying true to form? 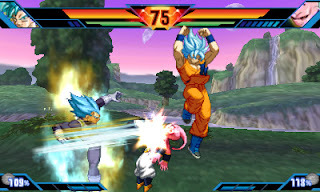 The Butoden series has seen a couple of releases over the years on multiple platforms, however this is the first time a Dragon Ball Z game has made its way to the Nintendo 3DS and unlike today's gameplay which includes fighting in a 3D arena, Extreme Butoden looks to keep things 2D with the back grounds being rendered in 3D. If you ever seen an episode of the anime, you know how quick a battle can be and while this is nailed down, the aspect that Dragon Ball Z: Extreme Butoden fails is in its variety, especially between the characters. For example you'll find yourself doing the exact same button commands which pull of the same moves and this is similar across the entire cast. Battles can be fought up to three on each side which you can tag in and out or use as an assist to help you turn the tables when you need it. The game includes a watered down story mode that sort of go over the events of the main story. 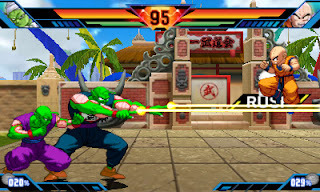 Once this is completed, you can go through the story as other fighters such as Krillin and experience it from their perspective. When has Krillin ever been the hero right? One kind of cool thing that the game has is something called Z Adventure. In this mode you move around different levels in a Super Mario-esque overworld and complete tasks depending on what's happening. If you manage to hit certain conditions, you gain prizes such as money or new characters to add to your side, so while this is a nice little addition that expands on the DBZ universe, it does little to add to the overall experience. SSGSS or Super Saiyan Blue? 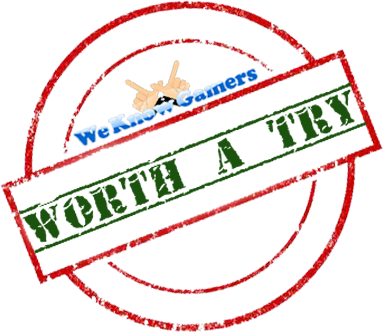 There is no online mode, however you can go toe to toe with friends over local multiplayer which I think is the best way to go about it making for some interesting battles. Unfortunately I didn't have anyone to test out this part with, but if I do in the future I'll be updating this. Dragon Ball Z: Extreme Butoden is a fun game to play, however I feel after an hour you'll pretty much be done with it. The very limited controls already push the game back and while I believe this was done purposely to allow for the 3DS control scheme, it probably could have been done better. There is something here to build upon and if another game is released on the handheld, it has quite a bit it can improve on.